Taking a deep breath…. and trying to get back into posting things. Life has run away with tons of new things cropping up at work and things not letting up as much after the holidays as I had expected. I finally got around to making this lovely cake, which I saw over at SmittenKitchen. M joined me for the evening and brought his camera. We made pizza for dinner and then made cake while trying out one of my holidays gifts, a nifty new board game. I got an entire tupper ware container of poppy seeds from work a couple of weeks back. I am not a huge fan of poppy seeds, but her descriptions of the cake were so intriguing that I had to try it. It was a huge hit with people at work and I enjoyed a couple of small pieces myself. It has made me determined to try making some lemon flavored cakes some time in the future, perhaps also trying out the gorgeous frosting recipe SmittenKitchen has been playing with. It takes the zest from two medium to large lemons, which makes the batter very fragrant and lovely light lemony color (at least until you add the poppy seeds). Preheat the oven to 325°F Butter and flour a fluted Bundt or tube pan generously. Butter the dull side of a 10-inch piece of foil. In the bowl of an electric mixer fitted with the whisk, beat the sugar with the egg yolks and whole egg at medium-high speed until the mixture is pale yellow and very fluffy, about 8 minutes. 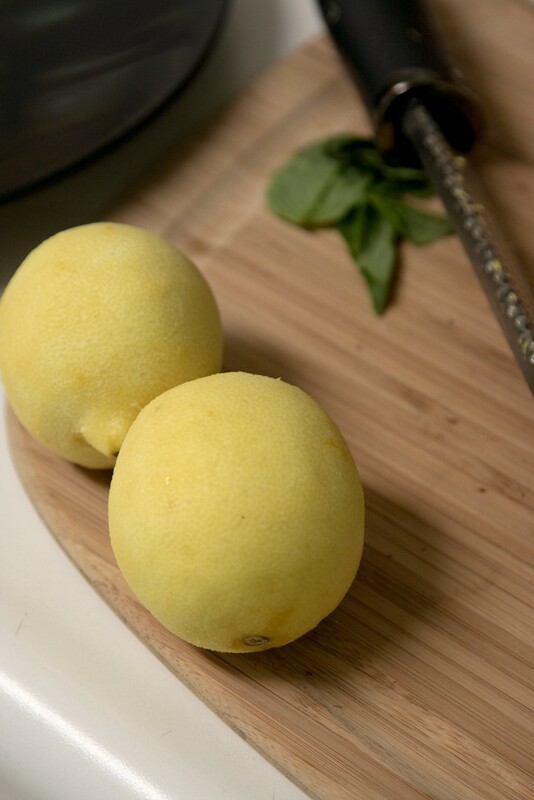 Beat in the lemon zest. Sift the flour and cornstarch over the egg mixture and fold in along with the pinch of salt with a rubber spatula. At medium speed, beat in the butter, then beat in the poppy seeds. Pour the batter into the prepared pan and cover tightly with the buttered foil. Bake for 45 minutes, or until the cake pulls away from the side of the pan and a cake tester inserted in the center of the cake comes out clean. She made note that she had a ten inch pan for her cake and it was done ten minutes early. I also only had a ten inch pan and mine was done at roughly 35 minutes, so it should be a pretty good guideline. Remove the foil and let the cake cool in the pan on a rack for 15 minutes. Invert the cake onto the rack and let cool completely before serving, at least 30 minutes. I am afraid that I was not thrifty and didn’t end up using my egg whites for anything. As this was the second thing baked in the evening, I decided against having more clean up. I am eyeing a crème brûlée and angel food pair up sometime in the near future, though. Which hopefully will remove the slight feelings of guilt at having tossed the extra egg whites. I did look at recipes to use them, I just didn’t end up doing an of them. Entry filed under: Baking, recipes. Tags: cake, lemon, poppy seeds. 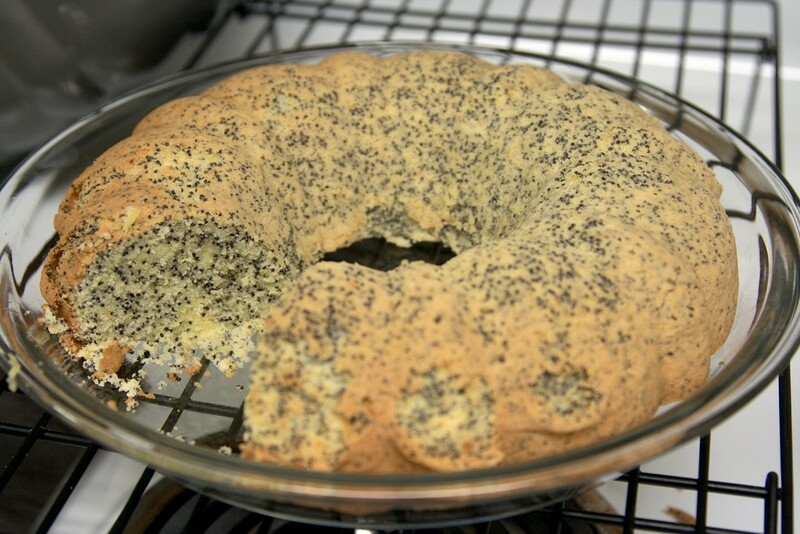 I’ve stolen a lemon poppy seed cake recipe from my aunt and I wouldn’t be without it. It is fairly different with more flour and buttermilk (I love buttermilk!) but less poppy seeds. It also calls for a lemon sugar glaze. Heaven! But, I always drool over the cakes at Smitten Kitchen! Please send it my way, if you wouldn’t mind!! I still have over a cup of poppy seeds and I should do something with them. I am not a huge fan (they get stuck in my teeth a lot), but the cake was tasty and I would love to try another. *Spreads with at least 65% vegetable oil can be substituted. Heat oven to 325 F. Grease and flour 12-cup bundt cake pan or tube pan, 10×4 inches. 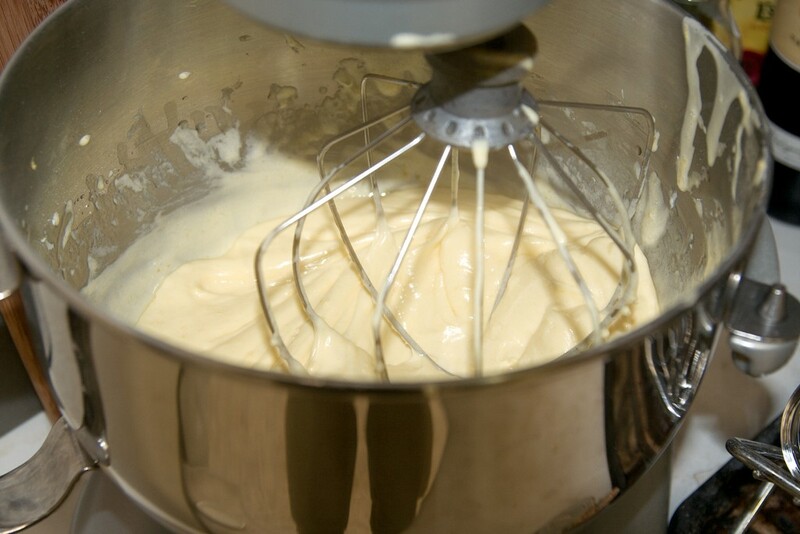 Beat sugar and margarine in large bowl with electric mixer on medium speed until light and fluffy. Beat in eggs, one at a time. Mix flour, baking soda and salt; beat into sugar mixture alternately with buttermilk until well blended. Stir in poppy seed, lemon peel and lemon juice. Spread in pan. While cake bakes, combine all glaze ingredients over low heat. Immediately poke several holes in top of cake with long-tined fork; pour about 2/3 of the Lemon Glaze over top. Cool 20 minutes. Turn pan upside down onto heatproof serving plate; remove pan. Spread with remaining glaze. That looks tasty. I am excited to try it. The glaze will probably make the cake a bit more moist, which would work well. I am curious to see what the texture is like, as the flour to eggs ratio is so vastly different from the other cake. I am out of town this weekend, but perhaps next week I shall have to try it.